A lot of Orlando TV news folks move on to bigger and better gigs after O-Town. Some end up making some news themselves. That appears to be the case with former WFTV-Channel 9 reporter Leland Vittert. NewsBlues.com reports that Vittert — who was hired last year to cover the Middle East for Fox News Channel — may be in a bit of trouble. NewsBlues also says that sources told the site that Vittert has been suspended and is now back in the U.S. Vittert reportedly said he was using the money as pretend currency and no actual money was exchanged. Stay tuned. J$P: News Blues sez CNN tattled on Leland Vittert for gambling, but FNC VP John Stack calls the story ‘completely false’! J$P: News Blues ‘scoop’ looking even more dubious now. Jealous much?? 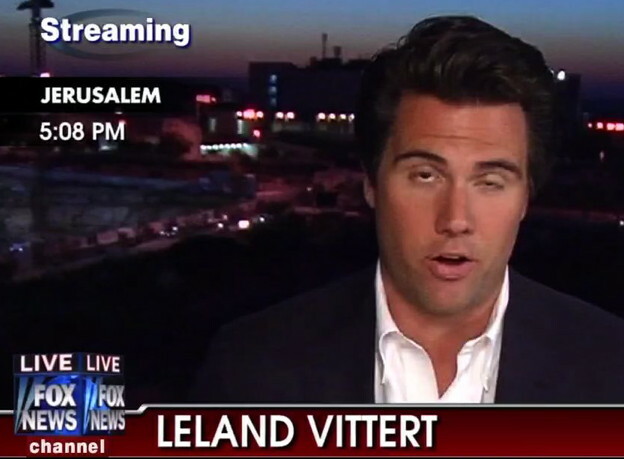 Leland Vittert is the best foreign correspondent in the business. This is a laughable, selfish, shameful statement. Roger Simmons, your a fool! !